The clubhouse is available for hire during the week as well as on Saturdays and Sundays outside of the cricket season (April - September). For further details including cost of hire details please get in touch. 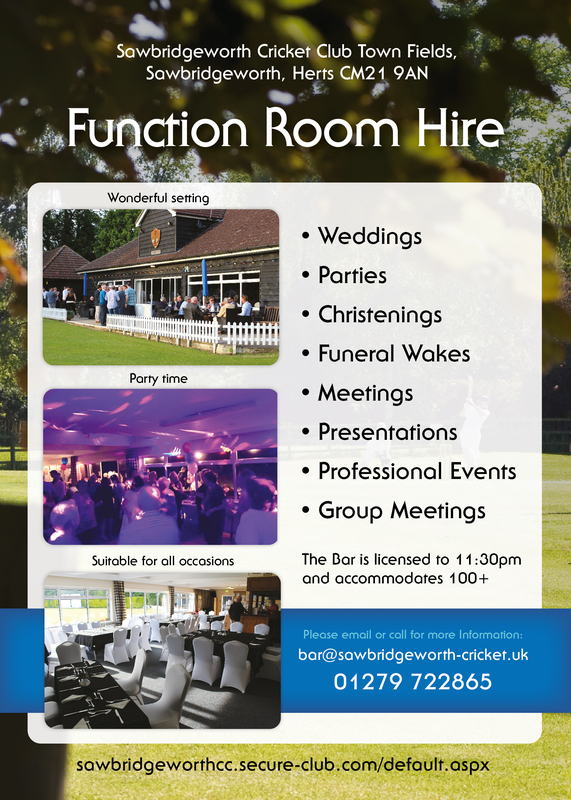 If you are looking for a place in a great location, which is safe, clean and has friendly and helpful staff, look no further then Sawbridgeworth Cricket Club!